For quality washing services in Charlotte, we hope you’ll choose to work with us at Fiv5 Star Cleaning. Laundry can be one of the most overwhelming household chores, especially when you have many children or other family members contributing to the job. We know it can often seem like a never-ending cycle of washing, drying, and folding clothes, which is why we work hard at Fiv5 Star Cleaning to offer quality washing services to our customers in Charlotte, North Carolina. With everything else you have going on, laundry can often be the last thing on your to-do list. Instead of feeling stressed or worrying about finding time to get the laundry done, call out team at Fiv5 Star Cleaning. With our fast, reliable washing services, you can trust we will get your clothes cleaned and returned to you in a timely manner. If you have any clothes that need special care or have different washing instructions, just let us know, and we will take care of those, as well. With our washing services and other laundry help, you will be able to focus on the things that matter more in your life, like family, friends, and other important responsibilities. When you work with our team at Fiv5 Star Cleaning, you will get the fresh, clean clothes you need without having to spend your time constantly washing, drying, folding, and ironing clothes. If you have any questions about our washing services or other laundry services, give us a call today. We look forward to helping you simplify your life and save time every day with our quality washing services. 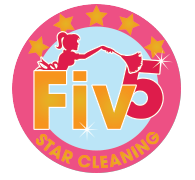 At Fiv5 Star Cleaning, we offer washing services in Charlotte, Concord, Cornelius, Gastonia, and Mooresville, North Carolina, as well as Rock Hill, South Carolina.